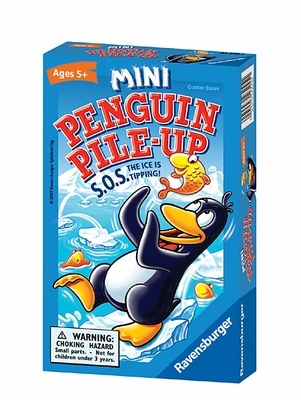 Roll the die & move the penguin around the icebergs to find fish. Careful of icebergs tipping over! Get to the iceberg with the fish on it often to win the most fish, but beware of negative points in the fishbone round! Recommended for 5 years and up.